Toy Story: This toy is losing its sense of visual perception due to mental degradation and an inability to properly interpret light stimuli. Toy Available for sale: The toy will be available for sale in a show. 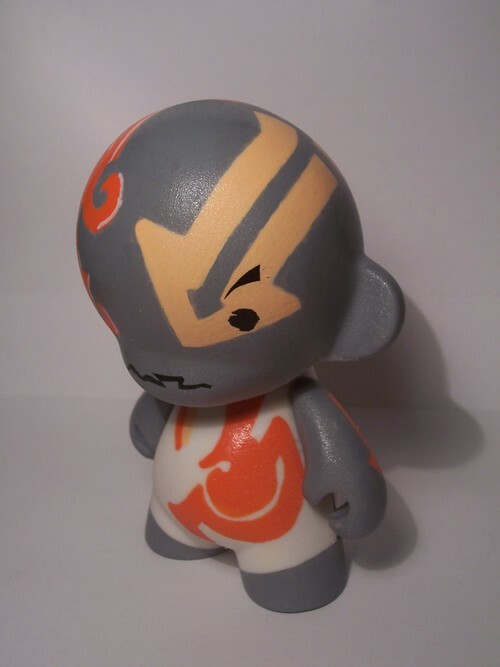 If the toy is not sold, then the artist can be contacted after for those interested. Toy Available for sale: Yup, please contact the artist with the information found below. Toy Story: Foldskool Heroes pay tribute to the idols from our youth, shop taking those precious childhood memories and slightly twist them into new experiences. We had the chance to interview Patrick Francisco last month, cheapest this time however he shares with us his creative process from start to finish in creating his own custom Dunny. Enjoy readers! “Ten” is equipped with a moveable head, stands approx. 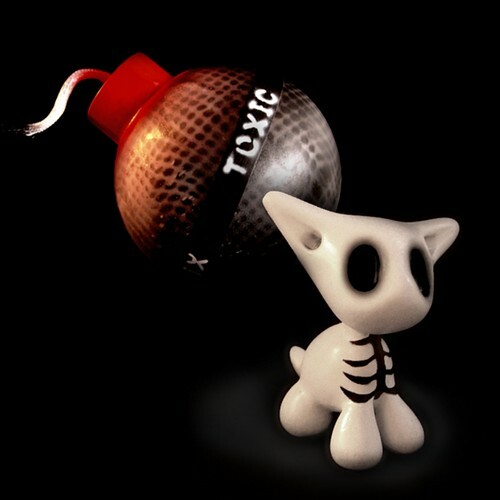 3″ tall, and fits oh so sweetly inside this nifty “toxic bomb” (about 4″ in diameter). He was hand-sculpted in clay, molded in silicone, cast with a super-light, super-durable poly resin, then sanded, primed, and painted… all by yours truly. 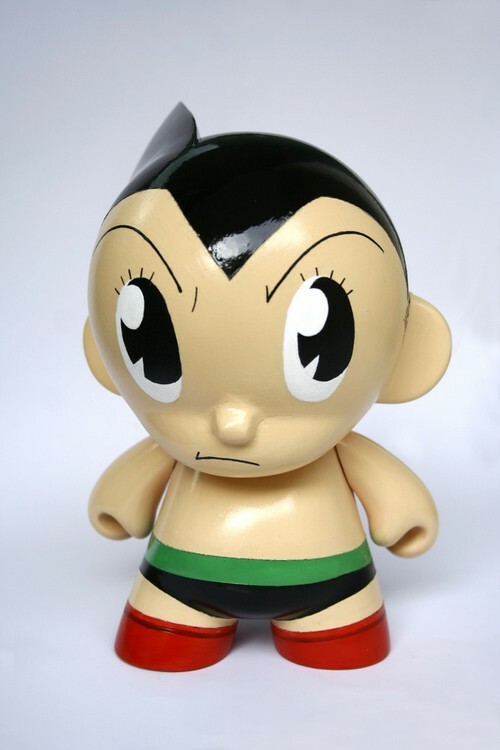 The bomb, which will be included exclusively with hand-produced custom toys, is made of acrylic and painted with spray paint, oil, and lacquer. I know… most sane artists would hand this job off to a designer. But with this degree of toxic dabbling and chemical mischief… no way was I going to outsource all the fun! Now that the process is finalized once and for all, one would think duplicating would be a snap. Not so much. 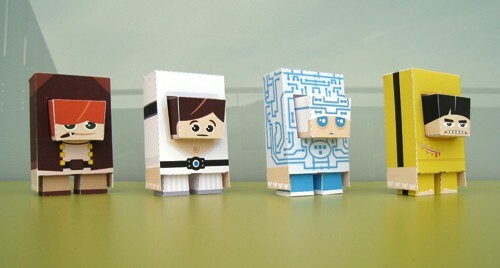 These little guys are insanely time-consuming to reproduce… but hey, it”s totally worth it. Toy Available for sale: Yes, they are $85 each (details above). Oct 6, 2008 Author: Raphael | Filed under: Coreroc, JAMUNGO 9" B.U.D. 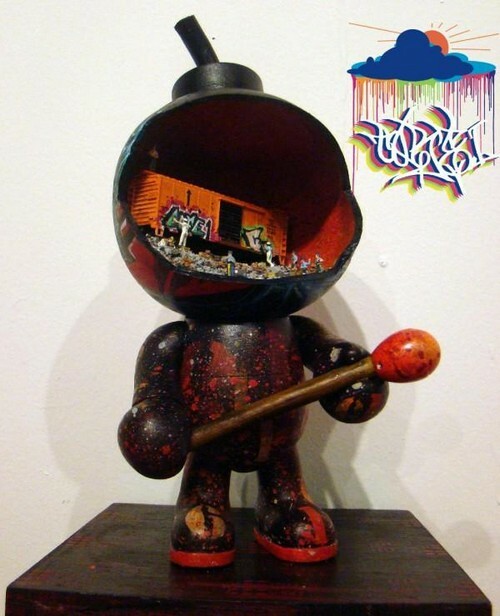 Toy Story: This BUD is for you to enjoy the visuals created by America”s only native art form(Graffiti). Being a graffiti artist for 17 years and never having a chance to visit New York City this custom is a tribute to NY and the artform that in essence made me. The scene inside the head of the character depicts a day in the lyfe of a graffiti artist looking to gain fame and express themselves. All the while being observed and approached by the police to lock them up for their actions. 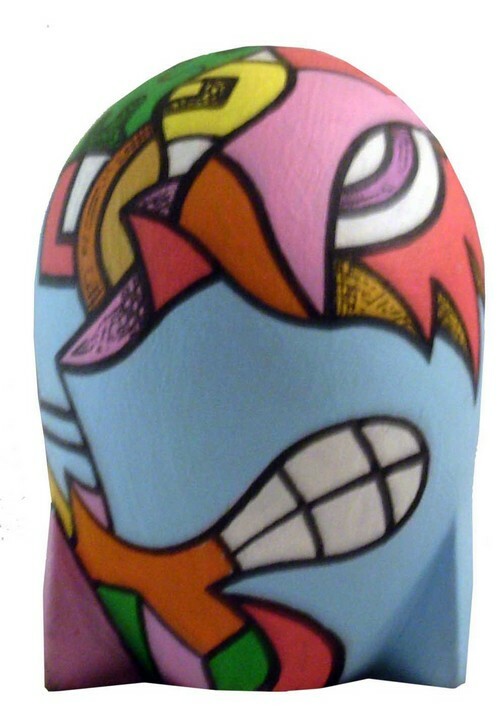 Toy Available for sale: Yup, please e-mail the artist using the information below. 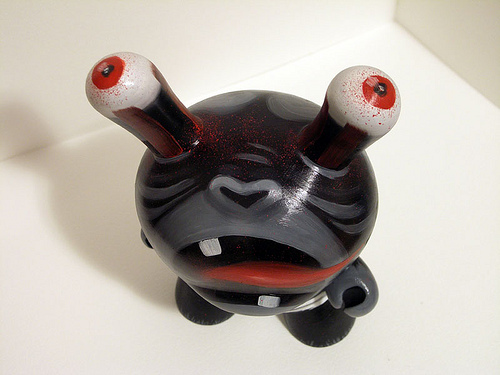 Moxie – Robert Anaya Jr.
Oct 4, 2008 Author: Raphael | Filed under: Kidrobot 4" Mini Munny, Robert Anaya Jr. Artist name: Robert Anaya Jr.
please contact the artist with the information below.